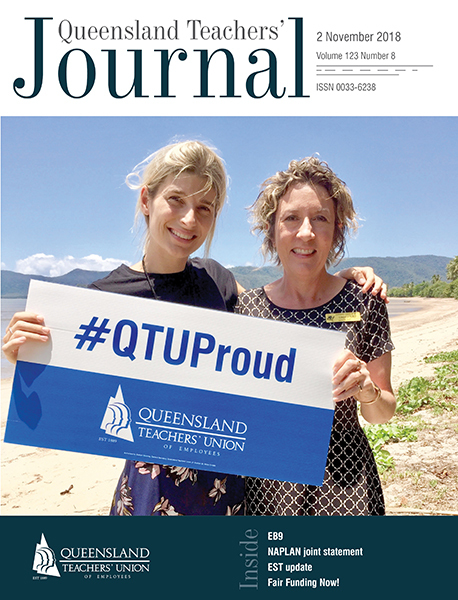 More than 45,000 teachers in the Queensland Government’s primary schools, secondary schools, special schools, colleges and TAFEs choose to belong to the QTU (more than 90 per cent of all teachers, principals and administrators). We are here to help you in times of difficulty, to negotiate better pay and conditions and to work on your behalf to promote the teaching profession. 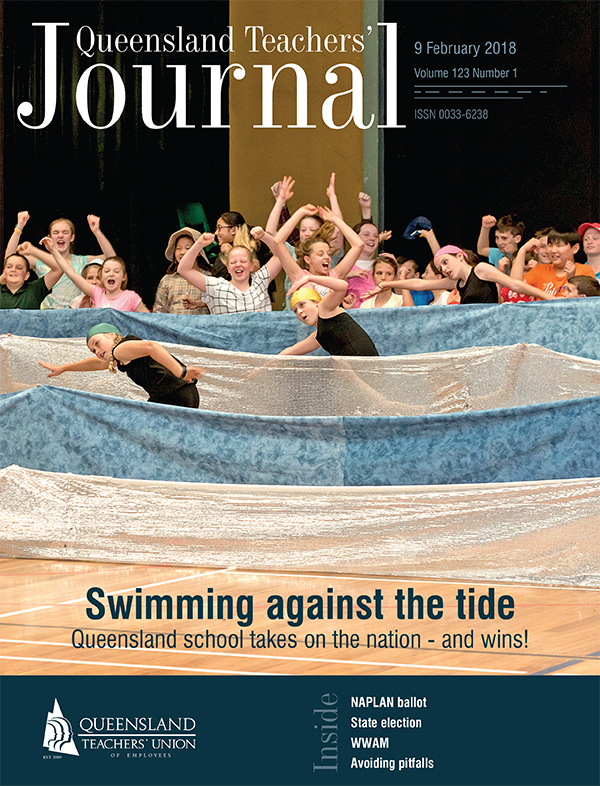 Established in 1889, the QTU has chalked up well over 130 years of achievement in helping teachers throughout Queensland, and is now the voice of more than 46,000 teachers in the Queensland Government's primary schools, secondary schools, special schools, colleges,TAFE institutes and other educational facilities. Operating the Union and its many services is an expensive undertaking. It is important that all eligible teachers join the Union and pay their dues. Every member counts. The Union's democracy has three features: it is representative; it is run by members; and participation is voluntary. Membership dues are determined by the Constitution and Rules of the Union (member login required for link). The formula for calculating Union dues can only be changed by an amendment to Union Rules. For permanent teachers, the dues are 0.72 per cent of annual salary, plus 10 per cent GST. While dues are payable on January 1, a 10 per cent discount is given if dues are received on or before March 31. The annual salary used to calculate these dues is the salary at October 31 of the previous year. 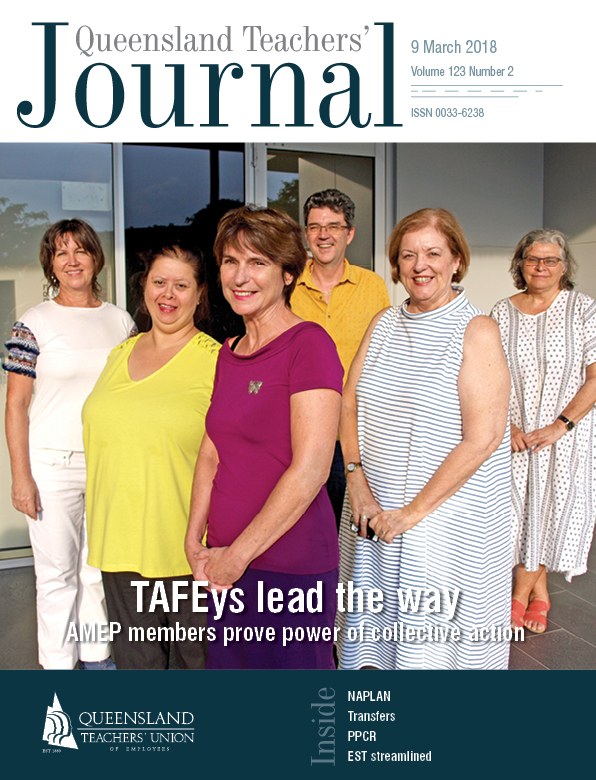 Click on the appropriate link to see membership dues for your sector (schools or TAFE). On 9 January, 1889, 23 teachers and principals from schools across the colony of Queensland met in Brisbane to found the first teachers’ union on this continent. 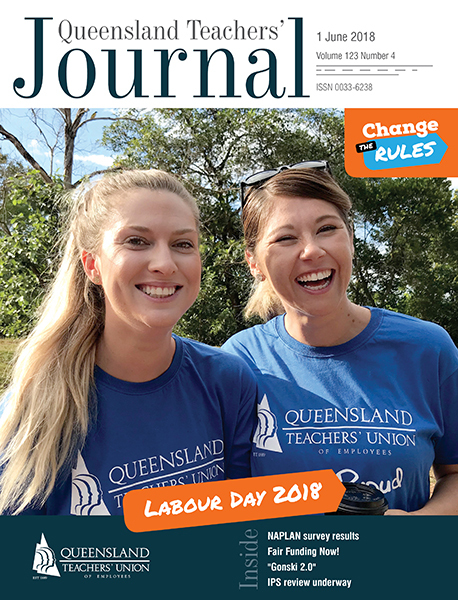 Today, more than 125 years later, the Queensland Teachers' Union is the most democratic and representative voice of the teaching profession in the state. 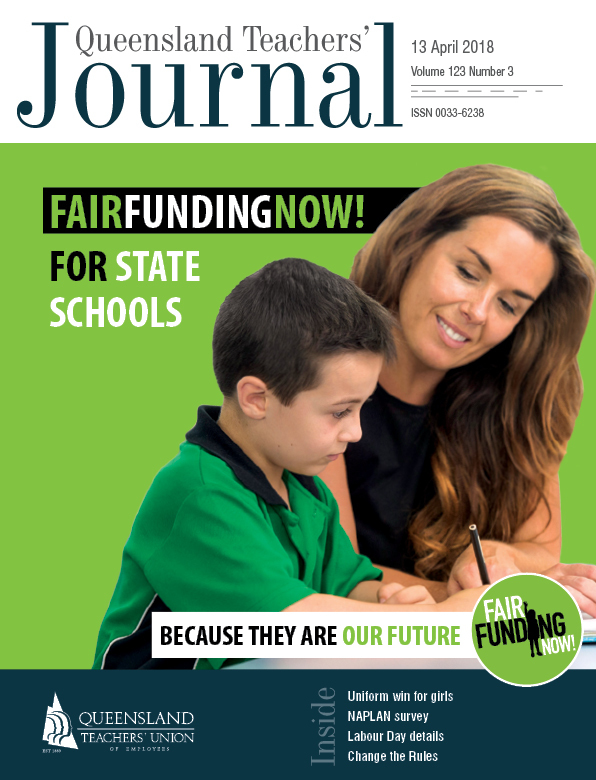 Representing more than 45,000 teachers in the Queensland Government's primary schools,secondary schools,special schools,senior colleges,TAFE colleges and other educational facilities. Please browse the pages below for a brief snapshot of our history. 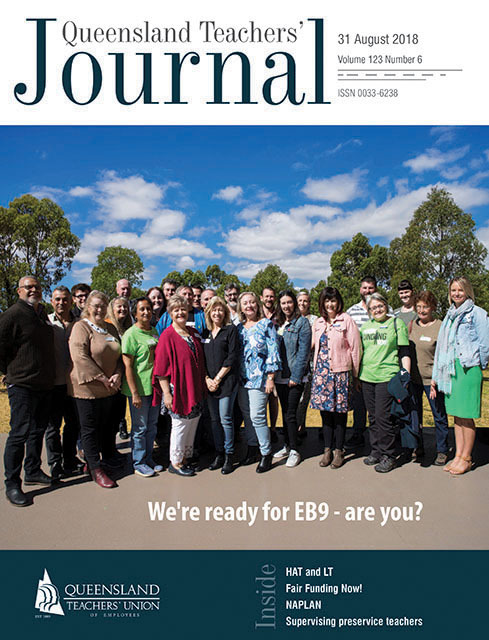 This edition of the Journal highlights the events of the 25 years since the publication of the history of the QTU in our centenary year. Past and present QTU members, officers, staff and supporters gathered in Brisbane on 9 January to mark the 125 years to the day since our Union's birth. Teachers have an important responsibility in guiding their students’ educational and social development. an understanding of human experience. The Queensland Teachers’ Union trusts that all members will exemplify this code of ethics in the exercise of their professional duties. The primary professional responsibility of teachers is the welfare of all students within their care. Teachers shall endeavour to promote such relationships between school and home as will contribute to the welfare and comprehensive development of each student. Teachers shall strive to achieve standards of professional conduct and to display attitudes towards their colleagues which will create mutual respect. Teachers shall assert their professional, industrial and civil rights and support their colleagues in the defence of these rights. Teachers shall strive to fulfil their responsibilities in a manner which will enhance the prestige of their profession. QTU Policy 2017-19, Booklet H - Professional Development, Page 1.. The QTU is not affiliated with any political party, nor does it donate funds to any political parties. Under the QTU Constitution, political party affiliation could only occur after a referendum of all members. The QTU is affiliated with the Australian Council of Trade Unions (ACTU) and the Queensland Council of Unions (QCU), the peak Australian and Queensland Union bodies. Neither of the bodies is affiliated with, or donates funds to, any political party. The QTU’s Strategic Objectives for 2015-2019, as endorsed by QTU State Council, inform our day to day work with members to improve their working lives and public education in general. Strategic Objective 4 states: 4. Strong influence over the state/federal education/training agenda. The impact of politics and governments at both state and federal levels on public education, training and teaching is so profound that it simply cannot be ignored. The QTU does reserve the right to support/oppose (before and during election campaigns) candidates, depending on their attitude and actions in relation to QTU policy positions - in particular public education and industrial relations. This is because decisions which affect QTU members are made by governments via the political process. The QTU is not affiliated with any political party. The Union will lobby and publicise the views not only of governments, but individual members of parliament and candidates. QTU campaigns will seek to help elect governments and candidates who support teachers, school leaders, TAFE, public schools and workers’ rights. Inevitably with such a large and diverse membership, not every member will agree with or support the Union’s campaigns when a state or federal election rolls around. However this work is always guided by the mission, values and strategic objectives above. Over the years there has been plenty of commentary about the lack of diversity in our Parliaments, which had become dominated by lawyers and political staffers. Having teachers and school leaders elected to Parliament definitely adds to the diversity of views and should result in better policy outcomes. The election of QTU members has not seen any special access for your Union, but has led to greater respect for the profession and genuine consultation across government about key issues that impact upon schools, TAFE and the work of our members. The QTU always allocates campaign resources, including employee time, to achieve the most efficient and effective result while maintaining all other core business and services to members. The Union will assess the policies of the major parties and candidates and align any of our campaigns in the context of our mission, values and strategy above. 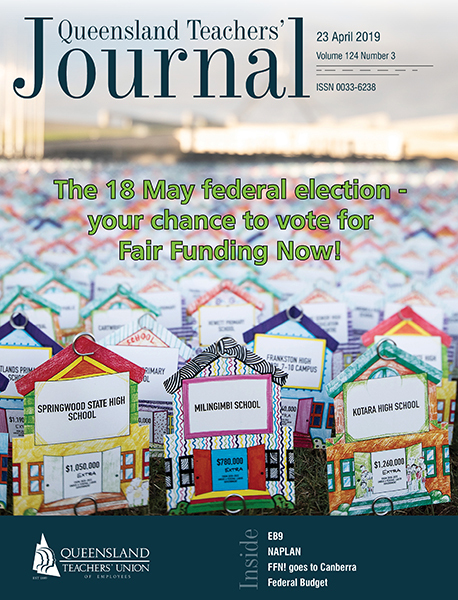 This may include member surveys, member to member phone calls and other direct campaigning in electorates where candidates sign a pledge to support key issues the Union determines are important to supporting our members in state schools and TAFE. As a state registered union for which the state government plays the dual role of employer and regulator, it is even more critical that we scrutinise the policies of current and prospective governments, particularly in areas of education, training and industrial relations. Questions regarding the AEU(Q) Branch can be sent to qtu@qtu.asn.au or you can call 07 3512 9000. Nominations are called for Federal Executive Member – Queensland Branch. Nominations must be in writing and reach the Returning Officers no later than 12.00 (AEST) pm 22nd March, 2019. Download the election notice and nomination form here. Nominations are called for Branch President, Branch Deputy President, Branch Secretary, Branch Deputy Secretary and Branch Executive members. Download the election notice here. Nomination forms are available on request. Nominations closed 12.00pm (AEST) on 1/2/2019. A copy of the post election notice is available on request. A copy of the post election report is available upon request. A copy of the post-election report is available on request. 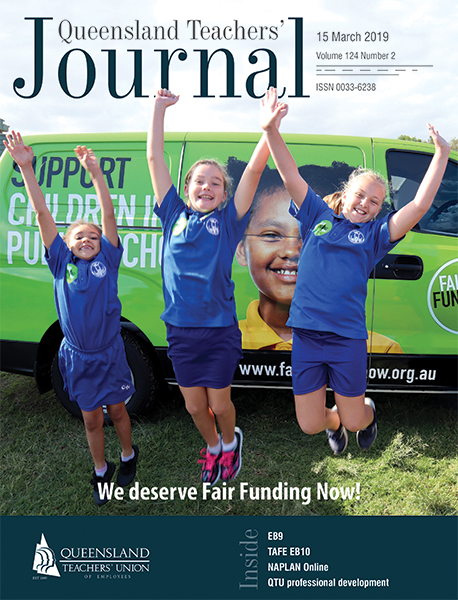 The Queensland Branch of the Australian Education Union [AEU(Q) Branch], has lodged an application with the Fair Work Commission [FWC] to alter the AEU(Q) Branch rules. A copy of the proposed rule amendments are available from the AEU(Q) Branch on request. Industrial Relations Act 2016 requirements. The Queensland Government has introduced a number of changes in the Industrial Relations Act 2016 which has reduced the number of Registers and Statements previously required to be published under the old Act (the Industrial Relations Act 1999). 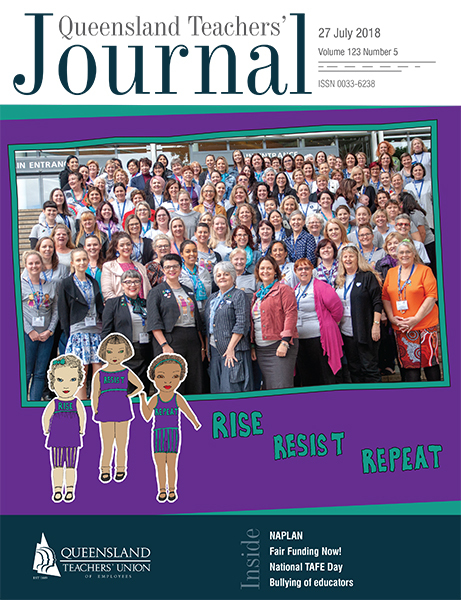 Whilst we are no longer required to publish those politically-motivated Registers and Statements, it is important to note that the QTU was, and remains, an open, well-run and accountable organisation dedicated to ensuring that its members’ funds were spent properly and in the interest of state school teachers and principals across Queensland. We will continue to publish our Financial Disclosure Statements and Financial Accounts as per below. All of these policies and registers are and will be available for the inspection by the Industrial Registrar and or other authorised personnel in accordance with the new Act. The Union has an Audit Committee that examines the accounts and seeks explanations of anything unexpected or potentially irregular. That Committee comprises the Senior Officers of the QTU, a member of the QTU Executive and an independent member with accounting qualifications. The monthly accounts are scrutinised by the elected Executive and State Council. The accounts of the QTU are also audited annually by one of the big four accounting firms, Ernst and Young, whose “best practice” recommendations for improvement have always been implemented. Union Officers issued credit cards for work purposes must abide by a policy which defines the legitimate uses of Union-issued credit cards. They must account for their credit card use monthly, and a Senior Officer must verify that this use is in accordance with the policy. Credit card use is also monitored in the Finance and Corporate Services area of the Union. The QTU has offices across Queensland, and acknowledges the traditional owners of the land on which these offices stand. It also encourages all of its branches and committees to acknowledge the traditional owners of the areas in which they meet. This acknowledgement recognises the unique position of Aboriginal and Torres Strait Island people in Australian culture, history, and as the original owners of the land. It is important that this unique position is recognised and incorporated into official protocol to enable the wider community to share in Aboriginal and Torres Strait Islander cultures and facilitate better relationships between Aboriginal and Torres Strait peoples, and the wider community. The Union suggests that members use one of the following when starting a meeting. Our vision for reconciliation is for a society that respects, protects and promotes the rights of all, and in which Aboriginal peoples, Torres Strait Islander peoples and other Australians live and work together with mutual respect and understanding, free from discrimination and harassment. 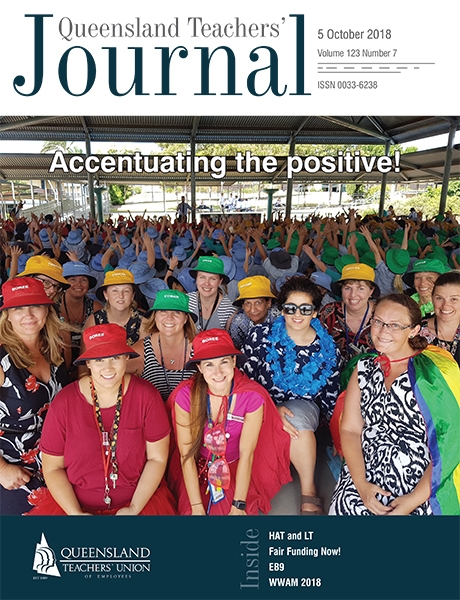 As the union for Queensland public school and TAFE teachers and school leaders, we recognise the unique role our schools and educational institutions have in achieving this vision. Gandu Jarjum is the QTU’s committee for Aboriginal and Torres Strait Islander members. It reviews relevant QTU policies and provides feedback and suggestions. There is a designated position on QTU Executive, and Aboriginal and Torres Strait Islander members are prioritised on QTU committees. The QTU was one of the first education unions to develop a Reconciliation Action Plan. The QTU’s Aboriginal and Torres Strait Islander Educators Network gives members information on Aboriginal and Torres Strait Islander education and current issues. The Jack Pizzey Award for Excellence in Educational Leadership has now been integrated into the Showcase Awards as The Jack Pizzey Award for Principal of the Year. State Council (meeting four times a year) and Conference (once every two years - the next being in 2019) are the supreme decision making bodies of the Union. 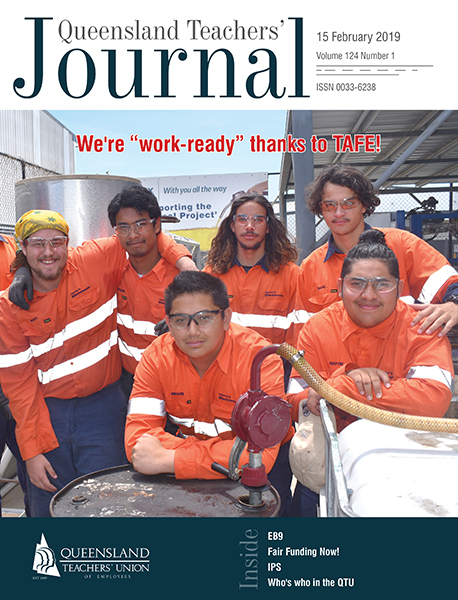 Each branch and Area Council throughout the state is represented, as are TAFE members. Members wishing to nominate for a position on any of these committees should complete Form E below. QTU policy is determined by Conference and shall only be varied by a subsequent Conference or a subsequent Council where at that Council policy is varied by a 2/3 majority of Councillors present and voting thereon.